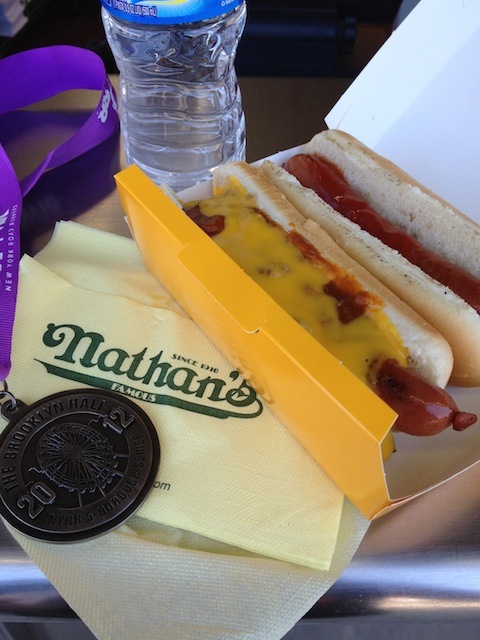 A year ago, I ran around Prospect Park and down Ocean Parkway to a finish line on Coney Island. 13.1 miles through Brooklyn on a quest to complete my second half marathon, and my first in New York. A year later, I returned to run it again in my quest to run in the 2013 New York marathon. This year, the course for the Brooklyn Half Marathon had changed because of Googa Mooga, an all day festival that would be occurring in Prospect Park later that day. The time was also shifted to 7am to start earlier and get us out of the park so they could prepare for Googa Mooga. The new course was definitely more interesting than running twice around the park, starting on Washington Avenue before turning back around to go up then down Flatbush Avenue before going around the outside of the park. Entering the south end of the park and doing one loop before heading straight down Ocean Parkway on a flat roadway that led to the Coney Island and the Boardwalk. The biggest difference between last year and this year was the introduction of a hill. Between the warm weather making me feel dehydrated at one point and the incline at [street], it made the course slightly tougher than my previous experience, and my final time showed it. 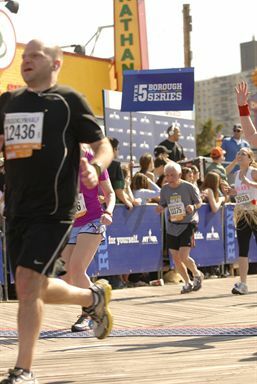 While I was able to finish the Brooklyn Half Marathon in 2:13:59 last year, I did it in 2:14:55 this year. I knew I was close to beating it and pushed myself, but I came close enough to be happy with my time. For my first race towards the New York Marathon in 2012, both towards training for this year’s marathon and gaining entry for next year’s marathon, I am happy with my performance. Of course, with a full year of running in New York under my belt, I have set stronger goals for myself for this year and look forward to achieving them and progressing even further onwards.